Aircraft Syndicate? Steve has been flying the Tecnam Echo, ZK-CDL, and is now interested informing a syndicate to have its own aircraft. Interested in putting a syndicate together for an aircraft. Anyone interested can contact at stevebut@xtra.co.nz or 0274392246. Nice day for a flight: A little north of Whangarei heads is Ngunguru, one of the many seaside villages along this coast... almost all of which are on river entrances having grown up when scows were the main tranport method for moving heavy goods like wool, timber, and in the case of Ngunguru, coal, as the river went up to a coal mine at the limit of the tide. The Scows were large flat bottomed sailing vessels with a centreboard that could float in less than 1m, and were built to take the beach at low tide and be loaded with deck cargo for the next tide to lift off. The entrance to the Ngunguru River is hard against the cliffs to the left, and between rocks at the entrance... must have taken a skilled seaman to handle this with only sail. 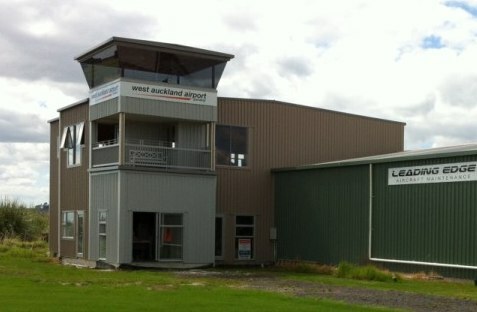 West Auckland Airport Parakai: Facilities & Services. Visitor facilities with tea / coffee / cold drinks / toilets in Pilot Lounge. Icecreams and more cold drinks are often available at the skydiving base across the road. Aircraft Engineering, Skydiving, Introductory flights and Flight Training for PPL/CPL, Microlights and Gyrocopters. Aircraft parking, Hangarage, Hangar building sites. Phone first 09 420 8010 if you will need fuel, as sometimes we're all off flying. 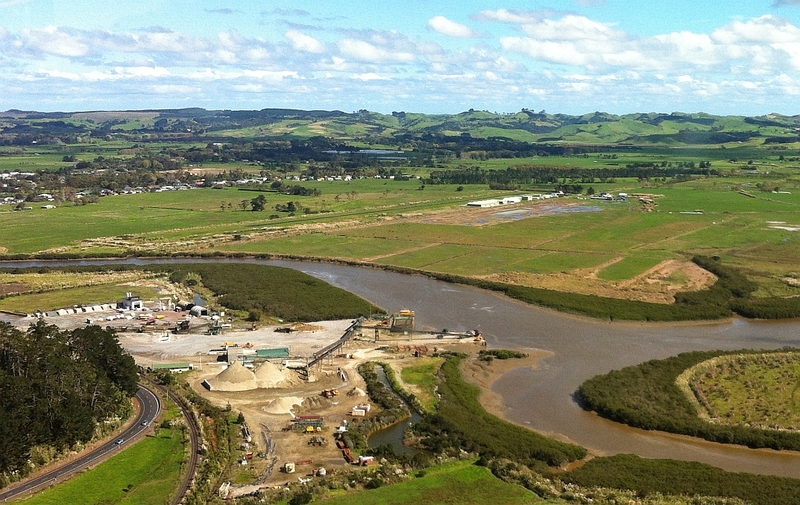 Commercial opportunities exist for new operators at West Auckland. Diesel engined Cessnas: Recent visitors were a pair of diesel powered Cessna 172 aircraft that flew up from Wanganui NZWU on a cross country exercise for students. There is a large flying school at Wanganui that trains overseas students. The diesel powered aircraft use a engine developed from the Mercedes Benz diesel as used in Merc's smaller diesel powered cars. Bryn Lockie, the engineer at West Auckland, attended a training course in Germany in the early days of introduction of these engines and says they have many good characteristics. They run on AvTur / Jet A1 which is readily available at even small airports due to its use by topdressing aircraft and heavy helicopters. Although the diesel engine is heavier, this is compensated by the extra fuel efficiency of a diesel engine requiring a lower fuel load, leaving the range unaffected. 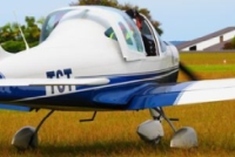 Apart from the reduced fuel amount, Jet fuel is considerably cheaper than Avgas and the cost savings are worthwhile for aircraft that do high hours, like these training aircraft. DARGAVILLE NZDA: Every Saturday. Fly in for lunch. Famous throught the north for it's lamb on a spit, and usually draws a good crowd of hungry aviators. Clubhouse Ph 09 439 8024. Click here for airfield details. COROMANDEL NZCX: Second Sunday of each month from 12:30. Clubhouse Ph 07 866 2055. Click here for airfield details. WHANGAREI NZWR: Last Saturday of each month at hangar 10, the Western end of the row of hangars. Whangarei Flying Club meeting at 10:30 with lunch to follow. Clubhouse phone 09 436 4053. Click here for airfield details. MATAMATA NZMA: Last Sunday of every month from 12 noon. BBQ flyin. BYO meat for BBQ + gold coin. Click here for airfield details.